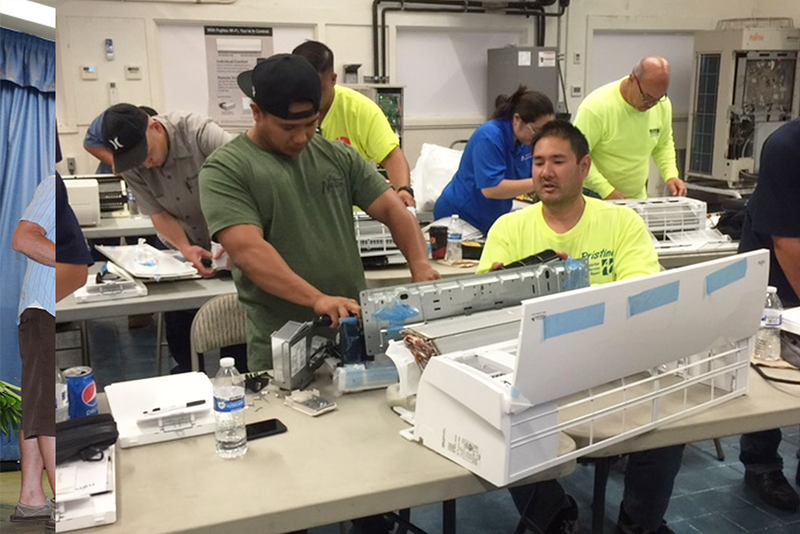 Admor HVAC Products held EDTT (Electrical Diagnostics & Teardown Training) classes on Oahu and Maui in the month of May 2016. The hands-on course led by instructor Tom Gunstra provided in-depth troubleshooting for Halcyon Inverter systems. EDTT offers classroom style training on multi-meter, DC controls and circuits with hands-on teardown of indoor units as well as diagnosis and testing of Fujitsu outdoor unit circuit boards. View our photo gallery from the Oahu and Maui classes attended by air conditioning contractors like Pristine Air Conditioning, Island Palm Community, Nu Era Air Conditioning, Hickam Community, Titan Industries, LLC, Elite Mechanical, Young’s Appliance, Rutan Refrigeration, and many others.